You can chat with us on Twitter, Instagram (@AverageNobodies), and Facebook (@AverageNobodies). Don’t forget, this podcast is available on iTunes, Stitcher Radio and YouTube. 4. Rosa Diaz vs. Lana at WrestleMania? I’m not a big college basketball fan, but every March I dabble in the madness and fill out a bracket. This year’s tourney is extra special, because although I’m not a PC Friars fan, I am from right outside of Providence, so it’s cool to have a dog in the race. Last night’s game was equal parts exciting and infuriating, and it looked at times that PC was going to get run out of the building. Their best player, Kris Dunn, played the majority of the game with 3 fouls, and the USC guards were getting to the rim whenever they wanted. The final few minutes of the game will go down as one of the weirder endings in the tourney. PC was given chance after chance, but just couldn’t make the big play. USC missed free throw after free throw and couldn’t secure the game winning defensive rebound. That opened the door for an enormous lapse of judgment on defense, as USC left Rodney Bullock WIDE open under the basket and he hit the game winning layup with a second left. It was a great game and a triumph for PC, and they’ll be rewarded with a matchup against 1 seed UNC tomorrow night. 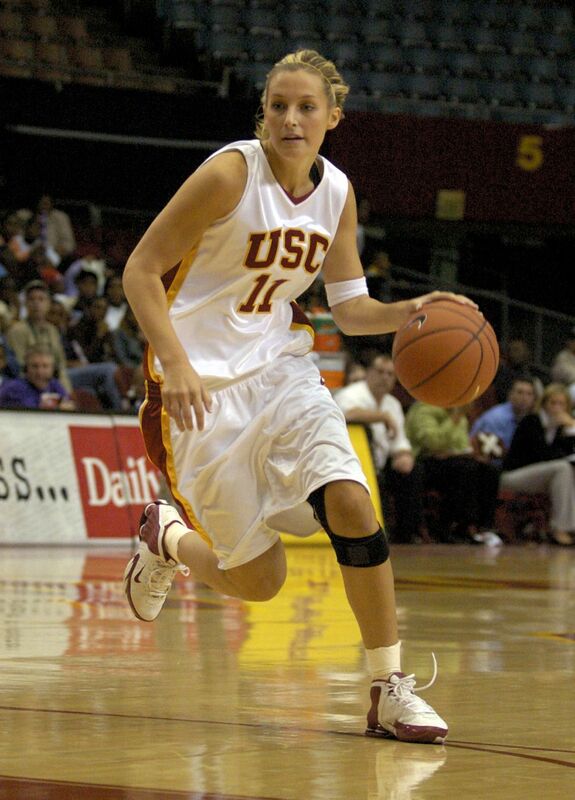 Former USC basketball star Brynn Cameron, who you might know as NFL QB (Can we still call him that) Matt Leinart’s baby mama, just spit out another kid with another dad!. The dad being none other than NBA superstar dunker, Blake Griffin! I see what you did there, Brynn. Matt Leinart’s time in the spotlight is over and it was time for you to move on to greener pastures. The ultimate power move if I ever saw one. Getting two different child support checks from two rich athletes? Brynn, you sly fox…and she is a FOX. Woof.